This time I would like to share another of my favorite recipes which can both be served for breakfast or later at the day for dinner. 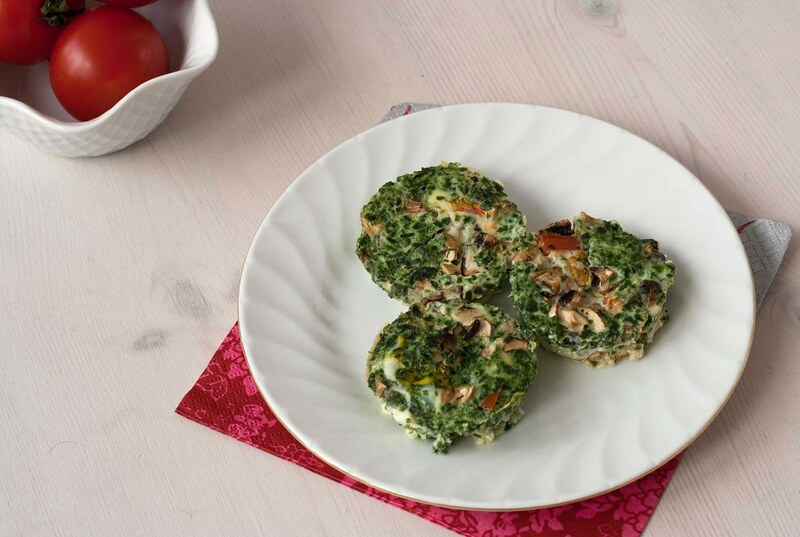 The recipe is egg muffins with spinach and tomatoes. There are several reasons why I like these muffins a lot. The main reason is because they have a great taste and that they are very simple to make. The preparation time is only about 20-30 minutes and it does not require any special skills. I normally make these muffins in my muffin oven pan which has 8 holes to hold the muffins. 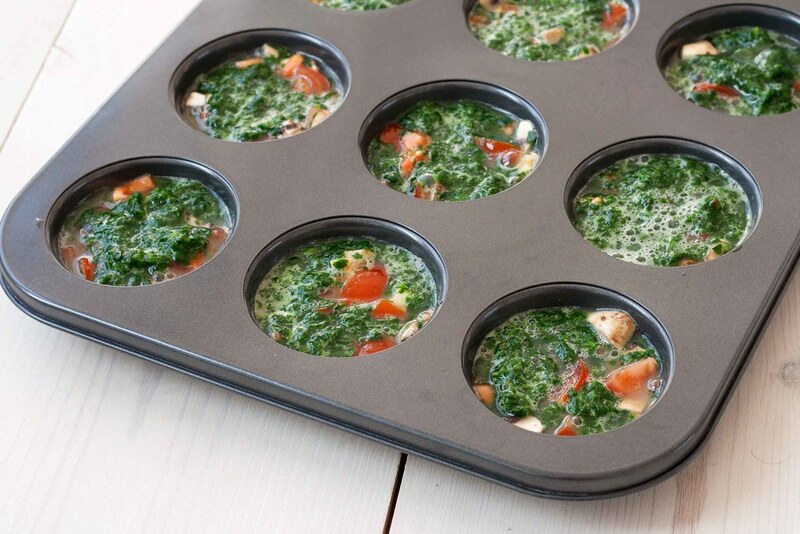 If you don’t have such a muffin pan then you can use some muffin cups, they should give the same results. 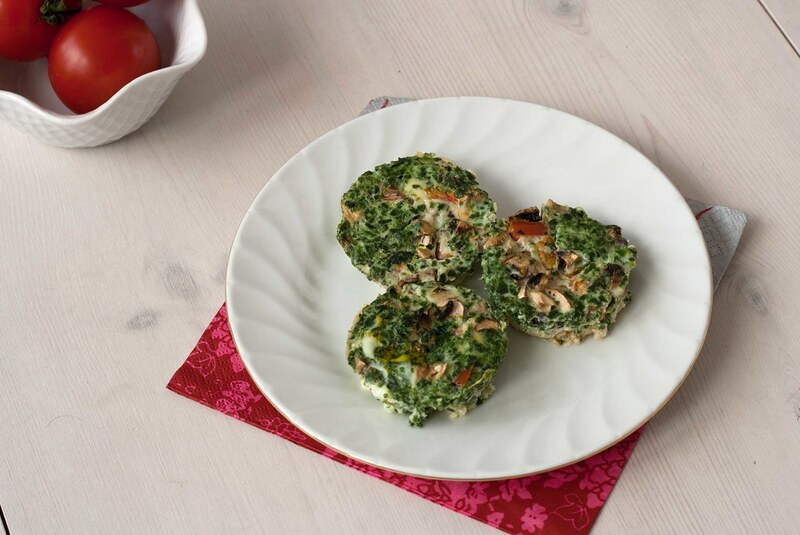 Another reason why I like these egg muffins a lot is because they are packed with great vitamins, from the spinach and tomatoes, and protein from the eggs. Therefore, they are very filling and gives you some good energy and nutrition for your body. Personally, these are important factors for defining a great dish for me. 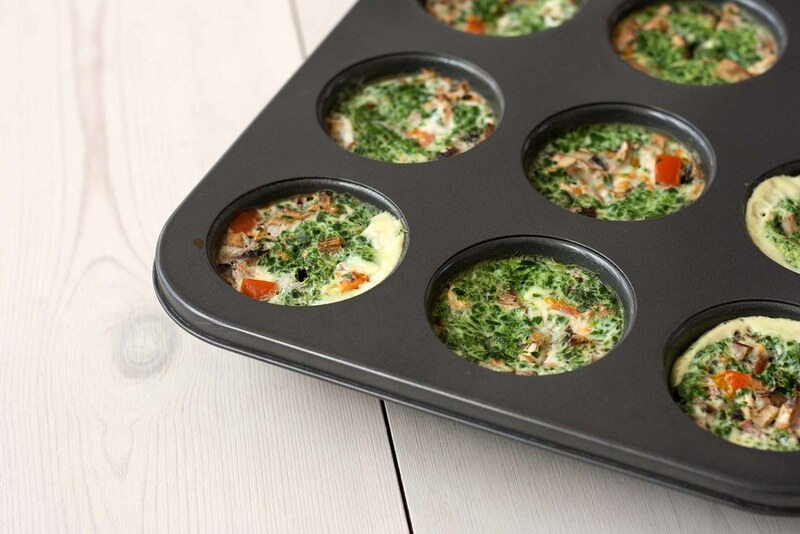 The instructions to make a batch of these egg muffins are quite simple. In a bowl; you beat the egg and mix them with some milk, salt and pepper. Then you add some chopped spinach and tomatoes. Mix all the ingredients together and pour the mixture into some muffins cups. Bake the muffins in the oven for about 20 minutes and they are done and ready to be served. 1. Thaw the chopped spinach. 2. Clean the tomatoes and the mushrooms and chop them in smaller pieces. 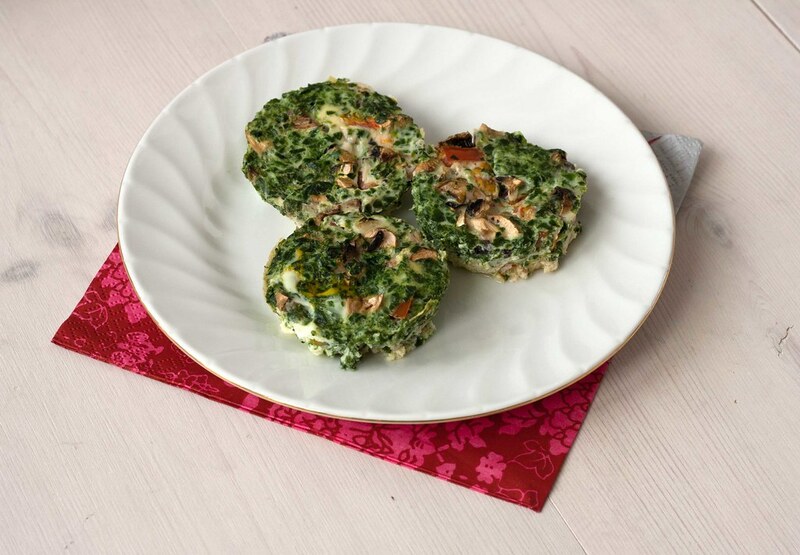 Mix them with the thawed spinach. 3. In a bowl; mix one egg, the six egg whites, milk, salt and pepper. 4. 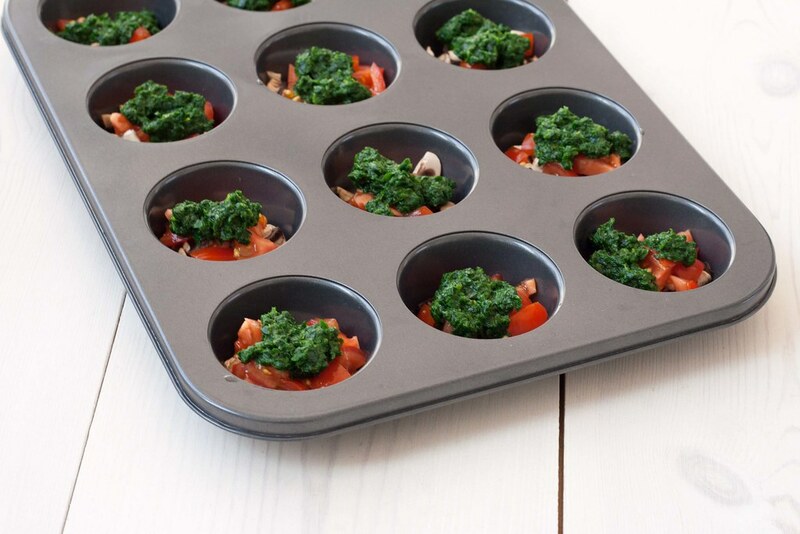 Divide the spinach, tomato and mushroom mixture in a 12 muffins pan. You can also use other single baking cups. 5. Bake everything at 180 C (360 F) for about 20-30 minutes. 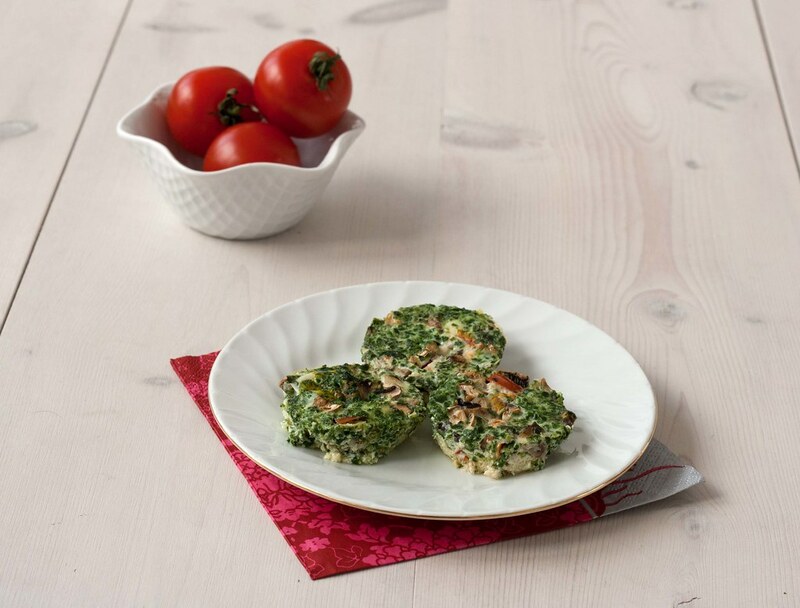 Serve them as a snack in-between two main meals or as a side dish for you dinner or breakfast.